Could be good or a total heap of shite. Black 47, the Irish revenge story which is set during the Famine, is to receive its world premiere at next month's Berlin International Film Festival. The festival runs from February 15 to 25 and Black 47 follows in the footsteps of Irish films The Guard, The Butcher Boy and The Boxer in having its premiere at the festival. Directed by Lance Daly (Life's a Breeze, Kisses), Black 47 stars Animal Kingdom actor James Frecheville as Feeney, an Irish Ranger who has been fighting abroad for the British Army but becomes a deserter and returns home. When he discovers what has happened to his family, Feeney swears vengeance. 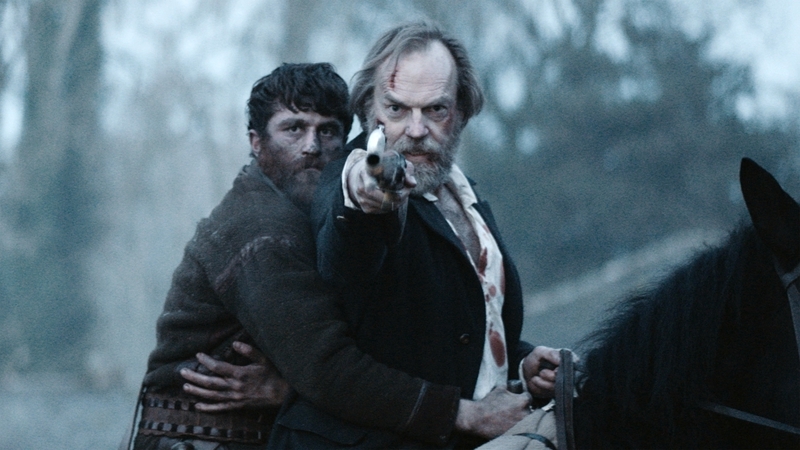 His old British Army comrade Hannah (The Matrix and Lord of the Rings star Hugo Weaving) is then dispatched to put an end to Feeney's uprising. Agreed. Could be great. I like muskets. Stephen Rea is in it. Could be good. I really enjoyed the Captain Feeney episode in Barry Lyndon. Great character, pleased to see him getting his own spin off movie. Ireland’s Great Hunger Museum at Quinnipiac University in Hamden, Connecticut, is sending its acclaimed art collection to Ireland in 2018. The works will go to Dublin Castle and Skibbereen—diametric epicenters of the Great Famine (1845-52)—for the exhibition Coming Home: Art and the Great Hunger. The museum’s collection, the only one of its kind in the world, constitutes an incomparable direct link to the past of almost 6.5 million Irish and 40 million Irish-American people. I'd have cast Vin Diesel or Jason statham as the hero. Gary Oldman as the evil Brit.